World Class Teams delivers CHANGE, not just training. Companies are now fitter, stronger, more agile and focused than they have ever been. The problem is, so too are their competitors. The frustrating reality is that leaders are constantly being asked to do more with less and are under increasing pressure to deliver results. We’re here to help your business fly with programs that will unleash a high-performance culture in your business and elicit exceptional performance from your people. 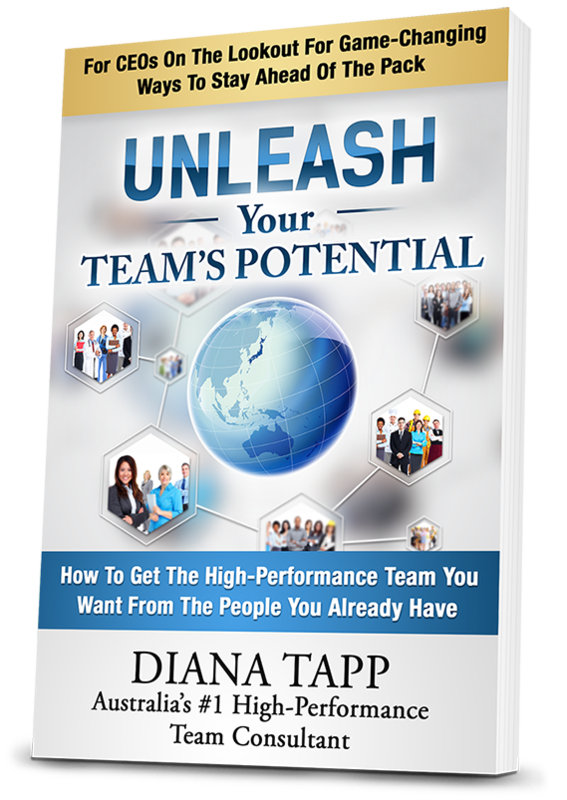 Claim your FREE chapter of Diana Tapp’s new book Unleash Your Team’s Potential. Instantly download Chapter One: “The Secret to Boosting Profit that Every CEO Should Know”.